These three short works show Jane Austen experimenting with a variety of different literary styles, from melodrama to satire, and exploring a range of social classes and settings. The early epistolary novel Lady Susan depicts an unscrupulous coquette, toying with the affections of several men. In contrast, The Watsons is a delightful fragment, whose spirited heroine Emma Watson finds her marriage opportunities restricted by poverty and pride. Written in the last months of Austen's life, the uncompleted novel Sanditon is set in a newly established seaside resort, with a glorious cast of hypochondriacs and speculators, and shows the author contemplating a changing society with a mixture of scepticism and amusement. Margaret Drabble's introduction examines these three works in the context of Jane Austen's major novels and her life, and discusses the social background of her fiction. This edition features a new chronology. Jane Austen was born on 16 December 1775 at Steventon, near Basingstoke, the seventh child of the rector of the parish. She lived with her family at Steventon until they moved to Bath when her father retired in 1801. After his death in 1805, she moved around with her mother; in 1809, they settled in Chawton, near Alton, Hampshire. Here she remained, except for a few visits to London, until in May 1817 she moved to Winchester to be near her doctor. There she died on 18 July 1817. Jane Austen was extremely modest about her own genius, describing her work to her nephew, Edward, as 'the little bit (two Inches wide) of Ivory, on which I work with so fine a Brush, as produces little effect after much labour'. As a girl she wrote stories, including burlesques of popular romances. Her works were published only after much revision, four novels being published in her lifetime. These are Sense and Sensibility (1811), Pride and Prejudice (1813), Mansfield Park (1814) and Emma (1815). 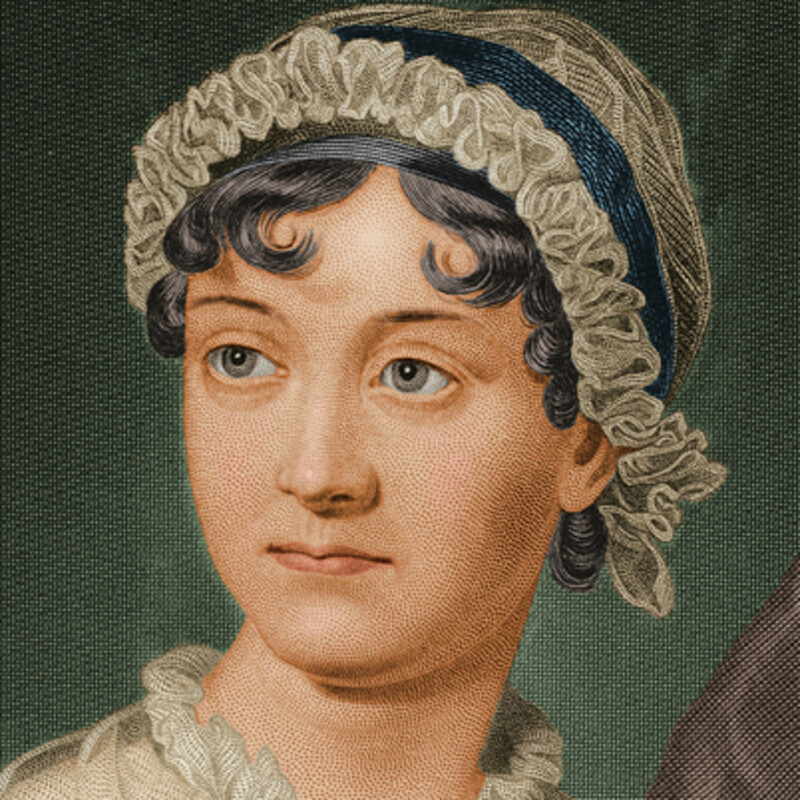 Two other novels, Northanger Abbey and Persuasion, were published posthumously in 1817 with a biographical notice by her brother, Henry Austen, the first formal announcement of her authorship. Persuasion was written in a race against failing health in 1815-16. She also left two earlier compositions, a short epistolary novel, Lady Susan, and an unfinished novel, The Watsons. At the time of her death, she was working on a new novel, Sanditon, a fragmentary draft of which survives. I can no longer refuse myself the pleasure of profiting by your kind invitation when we last parted, of spending some weeks with you at Churchill, and therefore if quite convenient to you and Mrs. Vernon to receive me at present, I shall hope within a few days to be introduced to a sister whom I have so long desired to be acquainted with. My kind friends here are most affectionately urgent with me to prolong my stay, but their hospitable and cheerful dispositions lead them too much into society for my present situation and state of mind; and I impatiently look forward to the hour when I shall be admitted into your delightful retirement. I long to be made known to your dear little children, in whose hearts I shall be very eager to secure an interest. I shall soon have occasion for all my fortitude, as I am on the point of separation from my own daughter. The long illness of her dear father prevented my paying her that attention which duty and affection equally dictated, and I have but too much reason to fear that the governess to whose care I cosigned her, was unequal to the charge. I have therefore resolved on placing her at one of the best private schools in town, where I shall have an opportunity of leaving her myself, in my way to you. I am determined you see, not to be denied admittance at Churchill. It would indeed give me most painful sensations to know that it were not in your power to receive me. The first winter assembly in the town of D. in Surrey was to be held on Tuesday October the thirteenth, and it was generally expected to be a very good one; a long list of country families was confidently run over as sure of attending, and sanguine hopes were entertained that the Osbornes themselves would be there. The Edwards' invitation to the Watsons followed me of course. The Edwards were people of fortune who lived in the town and kept their coach; the Watsons inhabited a village about three miles distant, were poor and had no close carriage; and ever since there had been balls in the place, the former were accustomed to invite the latter to dress dine and sleep at their house, on every monthly return throughout the winter. On the present occasion, as only two of Mr. Watson's children were at home, and one was always necessary as a companion to himself, for he was sickly and had lost his wife, one only could profit by the kindness of their friends; Miss Emma Watson who was very recently returned to her family from the care of an aunt who had brought her up, was to make her first public appearance in the neighborhood; and her eldest sister, whose delight in a ball was not lessened by ten years' enjoyment, had some merit in cheerfully undertaking to drive her and all her finery in the old chair to D. on the important morning. 'I think I have heard you speak of him before,' said Emma. 'And how came heart to be the only cold one?' — said Emma smiling. A gentleman and lady traveling from Tonbridge towards that part of the Sussex coast which lies between hastings and Eastbourne, being induced by business to quit the high road, and attempt a very rough lane, were overturned in toiling up its long ascent half rock, half sand. —The accident happened just beyond the only gentleman's house near the lane—a house, which their driver on first being required to take that direction, had conceived to be necessarily their object, and had with most unwilling looks been constrained to pass by—. He had grumbled and shaken his shoulders so much indeed, and pitied and cut his horses so sharply, that he might have been open to the suspicion of overturning them on purpose (especially as the carriage was his master's own) if the road had not indisputably become considerably worse than before, as soon as the premises of the said house were left behind—expressing with a most intelligent portentous countenance that beyond it no wheels but cart wheels could safely proceed. The severity of the fall was broken by their slow pace and the narrowness of the lane, and the gentleman having scrambled out and helped his companion, they neither of them at first felt more than shaken or bruised. But the gentleman had in the course of the extrication sprained his foot—and soon becoming sensible of it, was obliged in a few moments to cut short, both his remonstrance to the driver and his congratulations to his wife and himself—and sit down on the bank, unable to stand. His wife fervently hoped it was—but stood, terrified and anxious, neither able to do or suggest anything—and receiving her first real comfort from the slight of several persons now coming to their assistance. The accident had been discerned from a hayfield adjoining the house they had passed—and the persons who approached, were a well-looking hale, gentlemanlike man, of middle age, the proprietor of the place, who happened to be among his haymakers at the time, and three or four of the ablest of them summoned to attend their master—to say nothing of all the rest of the field, men, woman and children—not very far off. Jane Austen was extremely modest about her own genius, describing her work to her nephew, Edward, as 'the little bit (two Inches wide) of Ivory, on which I work with so fine a Brush, as produces little effect after much labour'. As a girl she wrote stories, including burlesques of popular romances. Her works were published only after much revision, four novels being published in her lifetime. These are Sense and Sensibility (1811), Pride and Prejudice (1813), Mansfield Park (1814) and Emma (1815). Two other novels, Northanger Abbey and Persuasion, were published posthumously in 1817 with a biographical notice by her brother, Henry Austen, the first formal announcement of her authorship. Persuasion was written in a race against failing health in 1815-16. She also left two earlier compositions, a short epistolary novel, Lady Susan, and an unfinished novel, The Watsons. At the time of her death, she was working on a new novel, Sanditon, a fragmentary draft of which survives.